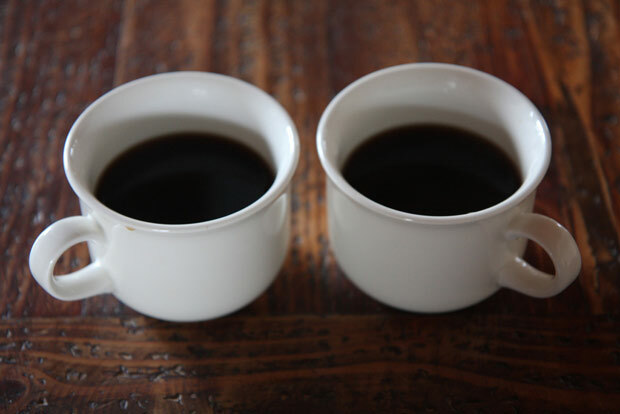 What is better for you: caffeine-free or normal coffee? What about expecting moms, doesn’t coffee negatively affect the child? What is caffeine, actually, and how do you remove it from coffee? Let’s go through these questions together. Although famous for being contained in coffee, caffeine can be found in teas, energy drinks, beans, and even leaves of several plants, where the alkaloid serves as a natural pesticide. It’s also known as the most common stimulant in the world. Caffeine benefits the central nervous system, improves the heart’s functioning, helps the digestive system by accelerating the production of stomach acids. If that wasn’t enough, it’s also beneficial to the process of natural fluid removal from the body, which is why you should always have a glass of water next to your coffee cup. Can you guess which one is caffeine-free? How do you remove caffeine from the beans? To get caffeine-free beans, two methods can be used, either of them has to be applied before the bean frying: the European process or the Swiss water process. The European process utilizes chemical agents, namely dichloromethane. Beans that are sunk in water combined with this agents are disposed of caffeine. The beans then have to be washed in order to remove the chemical agent. Unfortunately, this method often results in a slightly chemical taste of the coffee. On the other hand, the Swiss water process is considered a more healthy, non-chemical approach. It utilizes very particular machines that use active carbon and water to remove caffeine from the beans. This method requires the beans to be sunk in water for an extensive period of time, which naturally results in the caffeine removal. The so-called “caffeine water” is then filtered using carbon, which effectively absorbs caffeine. The extensive soaking, however, also erodes other elements in the coffee beans, which changes the coffee taste significantly. Nevertheless, the Swiss water process is the healthier alternative thanks to the absence of chemical agents. What’s more, it’s able to remove up to 99% of the caffeine as opposed to the European process’ 97% success rate. This topic was touched upon in our previous article 6 Most Widespread Myths About Coffee. Rumour has is pregnant women shouldn’t drink coffee and have any caffeine intake at all. This kind of information makes many of them drink caffeine-free coffee. However, that is nothing more than a rumor. Why is that though? It is estimated that in case of pregnant women, drinking coffee may result in a lower weight of the newborn. The estimates, however, do not have a foundation of solid scientific evidence. There are plenty of instances where women did not avoid coffee during their pregnancy and their newborns still ended up weighing more than four kilograms. It is more accurate to say that breastfeeding mothers should avoid coffee. It might get transferred through the milk into the body of the newborn, which will be as stimulated by its effects as the mother. The child might end up appearing a little uneasy, but certainly no health damage is on the table. It is worth consideration though whether the mother’s temper does not get lost with a more energetic toddler. As with most other dishes and beverages, coffee too must be consumed with reason. If you end up drinking one to two cups of good coffee during or right after your pregnancy, it is highly likely that you will only experience positive effects of the delicious drink. What’s more, women with low blood pressure are recommended to drink coffee and there even have been recorded occasions when drinking it helped women avoid morning uneasiness.